She can be heard screaming in the video, "It should be a separate section for a f***ing animal!" A video of a woman berating a veteran over the presence of his service dog in a Delaware restaurant has sparked angry responses from across the internet. 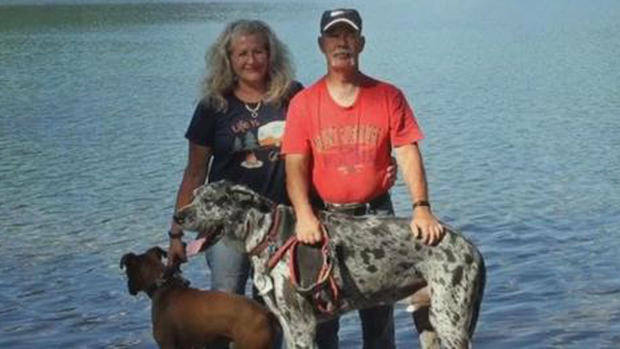 Miller demands multiple times for the dog, a Great Dane with the words “PTSD service dog” written on its vest, be removed from the restaurant because she believed his presence was unhygienic. Retired US Air National Guard Force Master Sgt. Bill Austin and his service dog PJ were the victims of this woman’s tirade. Austin is a Delaware native, now living in Montana, who has served tours in Bosnia, Iraq, and Afghanistan. “He has been trained to help me remember to take my medicine,” Austin says. Personal photoBill Austin with his service dog JP. JP even wakes him up when he is having nightmares about combat. 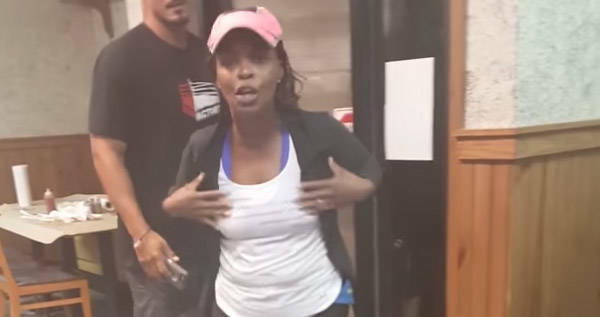 Eventually, the woman left the restaurant at the end of the video, but stated that some of the employees at the restaurant made derogatory racial statements in a later interview. Next, check out disturbing police body cam video of a nurse being arrested for following the law. Then, read about the World War II veteran who came out as a transgender woman at 90-year-old.